My name is Goran Sadojevich, I’m 33 years old and I live in Serbia. I graduated high school of architecture and later on I attend courses to study 2d arts where they hired me as a teacher to hold classes of 3d. That last for about a year, after I decided to dedicate my time for building portfolio and improve my skills. I’m a self taught, self driven artist always eager to learn new stuff and take challenges. 2.What are your personal interests? Beside my work, I love nature, animals.. enjoying my pets and plants  Also, collecting vintage toys is a big part of my life, they are simply amazing if you ask me. I grew up loving airplanes, helicopters and parachutes so skydiving is something I realy love to do. One of the best things man can experience, can’t compare to anything. I spend allot of time in my office working, my wife and my family are very supportive and I’m gratefull for that. Love to share my experience and work with my family and see them watching my art and enjoy it as much as I do making it  I also love to play games, watch movies, meet other artists, collectors, etc… , attend toy fairs, travel… It’s a blessing to work what you love in your life, be sorrounded with people you love and have their support, to help and share, not just about work but life as well. 3.How did you get your big break? I would say the most important thing is hard work and being in love with what you do. Lots of hours were spent on researching, reading, learning and of course practice. Been working on various projects before I actually started my big break in toy industry, this of course includes some of voluntary projects which contributed to my experience and meeting some great people I learned a lot from. 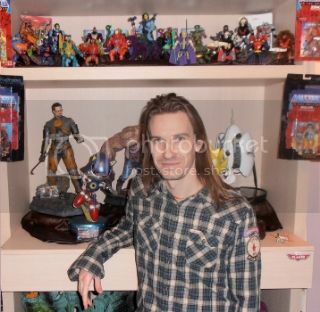 After some time I found online a job offer from First 4 Figures and contacted them , this was my start in toy business. I have received my first project which was Skull Kid from the Zelda line. 4.What influenced you the most and where did your inspiration come from? My biggest inspiration and influence are Masters of the Universe and G.I. Joe. I grow up loving these characters, toys, cartoons and I can say I’m still in love with these guys  Back in 80’s we could mostly buy bootleg versions here in my country so I was keen to have originals and decided to make them myself so I used bootleg versions and painted them and remade some parts with plasticine so they look like the originals, so this was sort of a beginning for me  After that I got my first computer and discovered Diablo game released by Blizzard entertainment and this sealed my childhood fantasies to work on art, games and toys. Art department team from Blizzard Entertainment and guys behind Masters of the Universe world are my every day inspiration now. 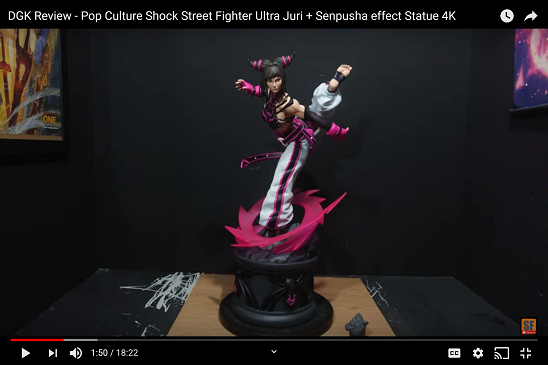 Of course there are allot of other great toys and art out there and I always enjoy watching them, reading about them and meet the artists who worked on those amazing stuff ! 5.Who have you worked for? 6.What advice can you give to an artist who is just starting out? Research and trace all the art and artists you love, use their work as a reference and your guidance, meet them, learn from them and create your own art. Use real life references as well, study human body, animals, nature.. Practice a lot, love what you do and never give up. 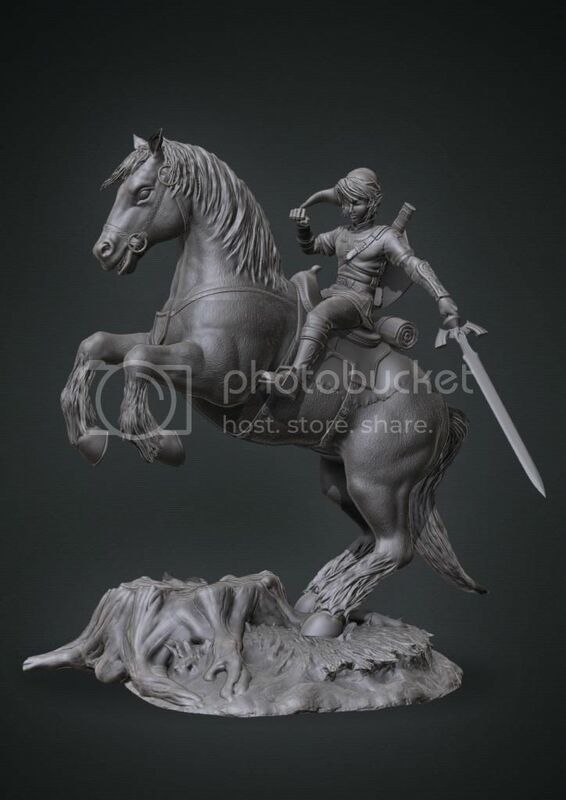 If someone asks of you to make a 3d marble… make sure to create the best 3d marble you can, put whole your life in it and you will be dazzled by the results. I remember we did a lot of pose testings while the character was still at a very early stage, this took a bit of time due to our wait for client approval but overall character creation process took about 3 weeks. 8.Are there any other Zelda projects currently in the works that you're involved in? 9.Given the choice...what Zelda characters would you like to work on next? Yes but that was a long time ago, the only one I have played was Legend of Zelda from the 80’s, that was on my old Nintendo entertainment system console. I spent much more time researching and reading about characters then actually playing the game. 11. Was there ever any consideration to include a light-up scar feature in his torso,like he has in most of the Twilight Princess video game? There was no consideration for the light-up scar, we decided to go with extra head for exclusive version instead. It was decided at the start of the project as we discussed it will look much more interesting if it was to be made of cloth and also it is a big flat thin piece so making it of cloth will eliminate the possibility of breakings during transport or assembling. It is nice looking and very practical. Which is your favorite piece that you've worked on for F4F? and definitely Ganondorf, also these were the most challenging in line so far. It really depends on the project complexity, most of the time everything is going pretty smooth when project requirements are clear and we have good references and materials to work from. Most of my ideas are accepted, ie. every single base is my design, hardest parts are deciding the poses and waiting for clients approvals so I have allot of discussions with art director when it comes to posing. Other than that everything is a smooth process. 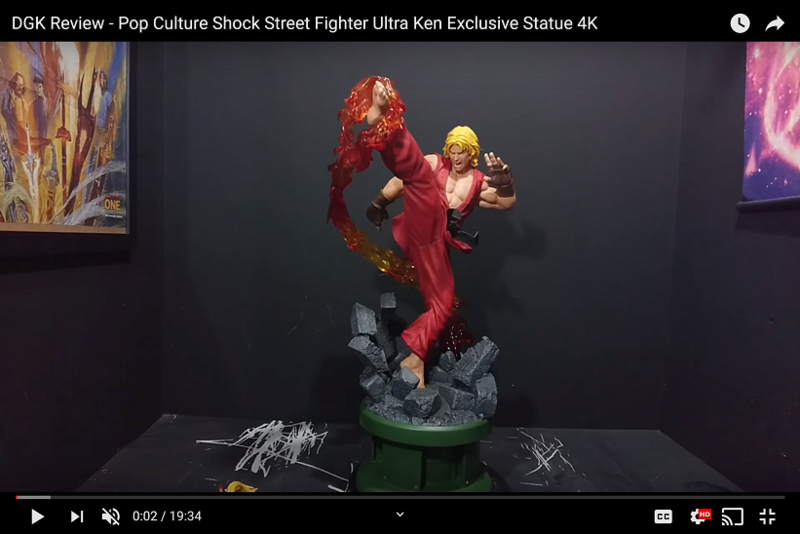 I just want to take the time to thank you on behalf of the Statueforum and extend our appreciation for this interview..... I truly believe your work is nothing less than amazing. We will all be looking forward to having you here again. Very nice to read this, I have several of the statues he's worked on and they're all excellent pieces! Thanks to the interviewer and the amazing artist. I have Link on Epona and Ganondorf. 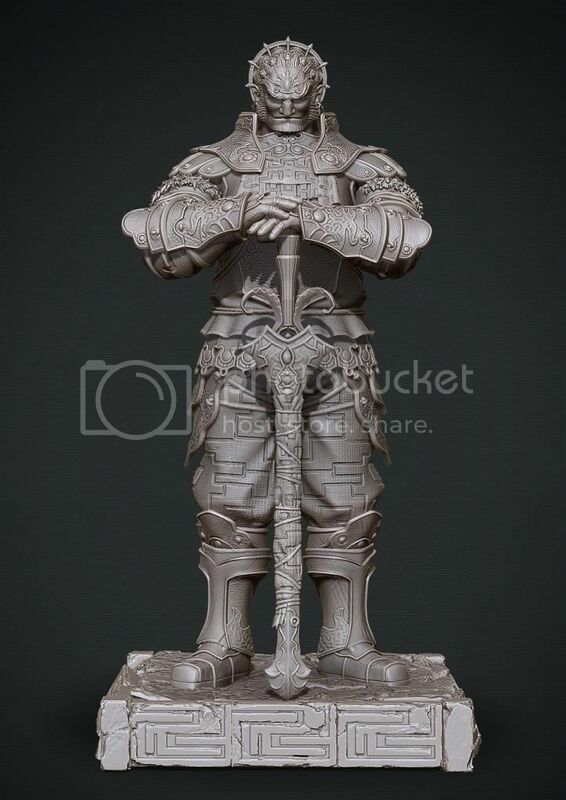 I can't wait to see the next Zelda statues he worked on. Nicely done Xman. Thanks for posting. 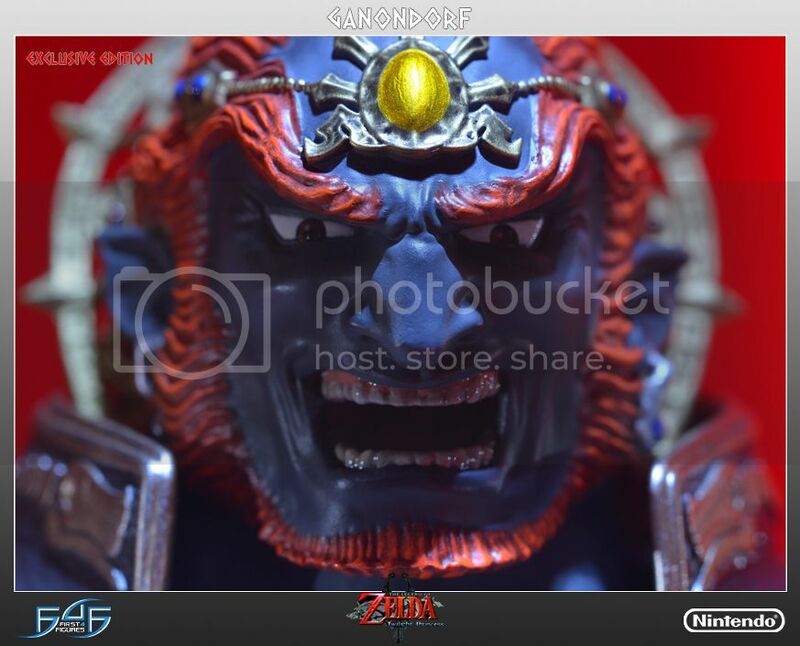 I have Ganondorf. It deserves as much praise as possible. Truly an incredible piece. This is what I enjoy most in this hobby...the human side of it all. Coming from building ure own figures to make originals all the way to working for a company and having your work actually produced! Thank you both X and Goran for taking the time to do this. The insight and advice given is priceless. BTW that Ganondorf is amazing! Excellent interview. 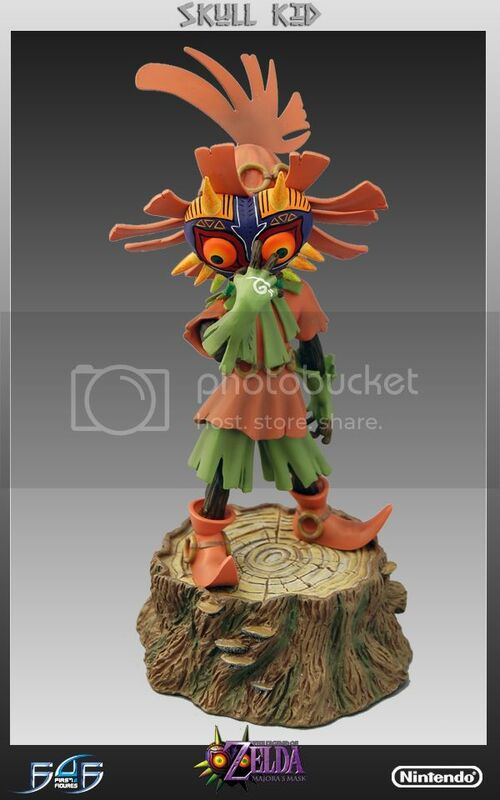 I really want that Skull Kid. Having a Mullet automatically makes him my fav sculptor alive.Good stuff X.